Ok, so the title is a bit of a misnomer - bluffing will get you nowhere in roulette. Why not? Well, all but the most superstitious gambler will admit that the result of a roulette wheel is completely unpredictable, which would render any false show of confidence completely redundant as a playing strategy. So, if you can’t bluff, and the result is totally random, are there really any strategies that can guarantee success? In short, the answer is no. If there were, casinos would be going out of business left, right, and centre. However, that hasn’t stopped mathematicians and professional gamblers from giving it a good old try, with varying degrees of success. You can find out about the strategies mentioned here in a lot more detail on sites such as Roulette.co.uk, but here is a broad outline. Before we start, it is worth mentioning that the house always has a statistical edge over roulette players, in the form of the green pocket or pockets. This means that even the perfect short-odds strategy could be undone by the odd no-scoring green pocket result. However, strategies can be employed to improve your mathematical chances of achieving specific aims, such as maximizing winnings or keeping you in the game longer. Interestingly, all of the major strategies centre around making each way bets such as red or black and odds and evens. This is because the longer-odds bets introduce a degree of mathematical complexity that makes it hard to build a system around them. After all, the point of any system is find order in chaos, so adding complexity will always reduce their effectiveness. The daddy of them all is the Martingale system, made famous by Charles Wells, aka ‘The Man Who Broke the Bank in Monte Carlo’ in 1891. It’s a simple strategy to implement – all you need to do is double your bets when you lose, and halve them when you win. This means that your next win will cover all previous losses, as long as you don’t hit the table limit or run out of cash. That’s why it’s best to start with small amounts when doing this, as a large starting stake will render the strategy redundant after just a few consecutive losses. The idea with this is that you start somewhere on the line and move left with your bet amounts when you win and right when you lose. Like the D’Alembert system, this gives you a much more gentle gradient, which reduces the risk of hitting table limits or running out of money, but it also doesn’t guarantee that your next win will cover all previous losses. 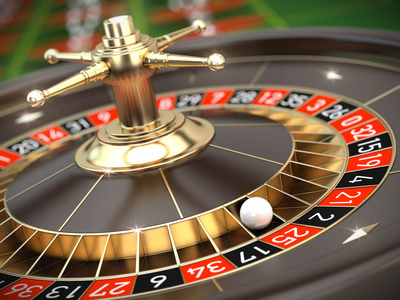 At the end of the day, none of these strategies will guarantee that you win at roulette, but when used intelligently, they can improve your chances of achieving certain objectives, and at the very least, they can make the game more exciting and involving to play.